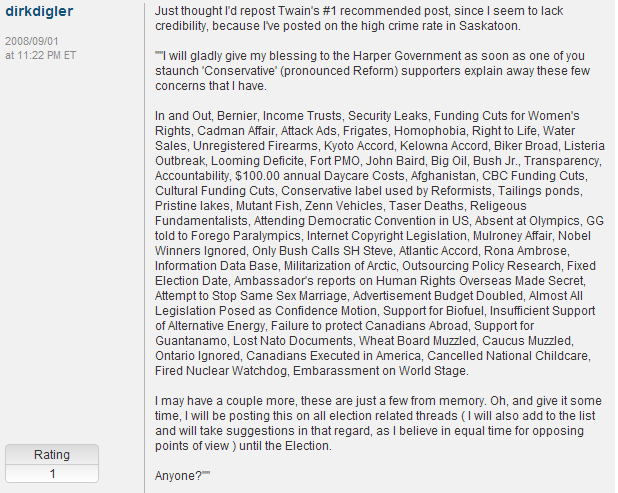 The Twain Shall Meet: Substantiating The Smear Campaign Against the Conservative Party of Canada ~ Read this Dean! Substantiating The Smear Campaign Against the Conservative Party of Canada ~ Read this Dean! Have We Finally Found that Smoking Gun? Hit snooze  if you'd rather read. Have we found the evidence that will finally see us reach the tipping point that so many us have been waiting for? Many of us have waited a long time for such evidence, and as accusations that the Harper Government systematically bent or broke many of the rules during the May 2011 election swirl around the country, the Conservatives are crying foul. They say that "There is nothing to see here" or that they are the victims of a smear campaign. Well, one thing that happened today was a Huge Substantiation of the main thrust of the oppositions claims that Harper Broke the law in a Criminal way. They've been calling them Unsubstantiated smears for a while now. Day after day! But it turns out that we now have all the ammo we need to Finally wake Canadians. How could they "try" to smear the Harper Government and fail to do so? The evidence that these no-longer Progressive Conservatives are all too willing to do anything to gain and keep power is everywhere. The evidence that they are incompetent on all files in all Departments is everywhere. The evidence that these ReformaCons are absolutely in lock-step with the Grand Old Party of America is everywhere. The evidence is all there for honest and intelligent Canadians to see. But it has not been. And the reason is simple: Canadians simply do not believe that anyone could be so dishonest, so deceitful, and so very guilty of such things as election fraud and still be the Government. Canadians, or so the story goes, would never be 'fooled by criminals into electing them'. Canadians are in fact quite mistaken in this assumption and it is all due to the fact that dishonesty, deceit, denial and obfuscation are so foreign to us and the very cornerstones of the Conservative Party of Canada. And those are not the ways of most of us, so we are reluctant to believe that they are really cheating us. 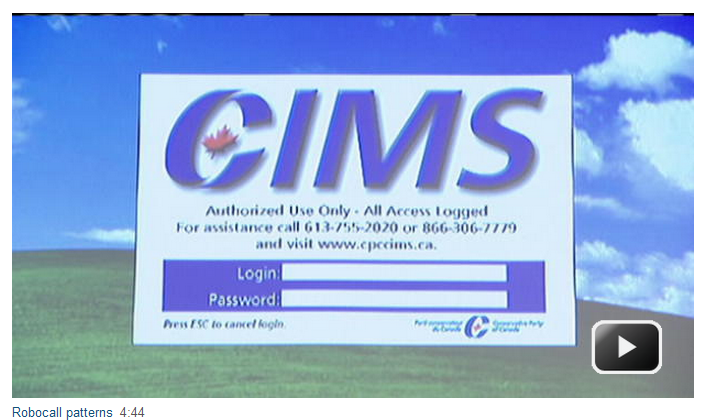 But, if the evidence that CBC's Terry Milewski released Thursday night, is what it appears to be, then that cheating and that election fraud is systemic and systematic and apparently they are very good at it! over 50 times in the last two weeks. Seriously, is this just a smear campaign? Personally, I have been Smearing the Conservatives Ever Since I First Noticed Stephen Harper. But None of it went Unsubstantiated. I first started to spread this information just before Harper broke his own Fixed date Election law back in late August of 2008. I wrote this list right off the top of my head ~ it contains over 60 issues that pointed to their regressive ideology, and their dismal incompetence. That was almost four years ago. I had not, at the time come to realise the extent to which they were linked to American Right Wing 'Think' Tanks. But that is all public knowledge now. See next blog post. Here's a comment from CBC.ca referencing that 2008 list! The very first issue on that long but incomplete list is "In and Out" and it refers to their having cheated democracy during the 2006 federal Election by diverting Money from local campaigns to the Federal one. That was completely outside of the Elections Act and after over five years of saying over and over and over again that it was "an administrative dispute." The Conservatives paid a $52,000.oo fine and just last week dropped their appeal and are paying back $230,000.oo to Elections Canada. Hell, they even scream "Smear"
that they are not above racial slurs. 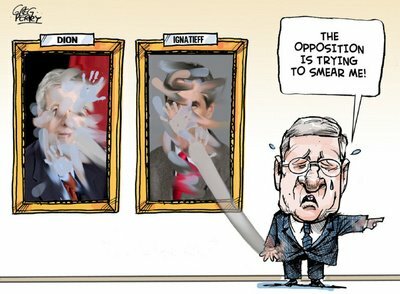 In the Current round of the Harper Government's claims that they are being victimised and are the object of unsubstantiated smears, most Canadians now seem to understand that that is not the case. Does that mean that Canadians are actually getting to know Mr. Harper and his dysfunctional caucus? How I wish it did. Not until there is a full Public Inquiry into the RoboCon Affair that gets to the bottom of the tactics used and sheds much needed light on the elements of the Conservative Party that owe their campaign tactics to one of Americas leading right wing hacks, Karl Rove, and leave them and those tactics naked and known to be what they really are, will we have satisfied our curiosity. At that point I believe all those "smears" will have been substantiated. Most previous smears of this Government's name have been. If you are not familiar with Karl Rove and his Political views, This may help! As far as giving any more information on him and his connection to the hard Right NeoCon Machine here, it is too easy to find out all about him at Wikipedia, to need to say much, but I can show a short clip that illustrates some of the vibe that surrounds him. Have we been Smearing them when we have said that we worry about their take on Woman's Rights? Was this video producer Smearing him or his Party? Or is it an indignant but Satirical Statement of Fact? in an effort to make a statement. 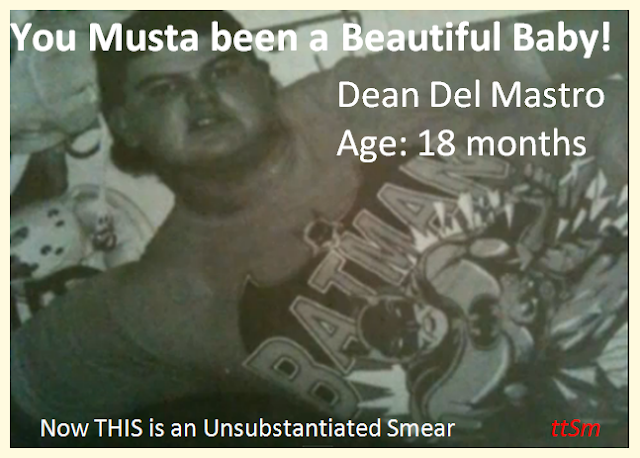 I Owe Dean an Apology, but just this One! I am in no real hurry, he Owes us all a few. I still cannot believe that so many Canadians were willing to overlook Contempt of Parliament & votes these ________ back in with a majorty!